Take a heartwarming look back at one of the most storied careers in WWE history in the latest episode of WWE Photo Shoot, featuring 16-time WWE World Champion, global pop culture icon and WWE Hall of Famer Ric Flair, alongside daughter and current SmackDown Women’s Champion Charlotte Flair. Together, the pair celebrate the WWE 2K19 Wooooo! Edition, looking back at the iconic moments and legacy that inspired this collector’s offering and the exclusive memorabilia and extensive digital content contained within. 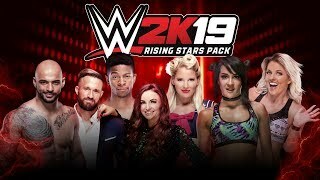 The limited collector’s edition also contains the complete WWE 2K19 Deluxe Edition with two pre-order bonus playable characters: former WWE Champion Rey Mysterio and current WWE Superstar “Rowdy” Ronda Rousey. From matches against legendary friends and rivals to emotional behind the scenes clips and photos, check out the full episode here, also available for viewing anytime on the WWE Network. 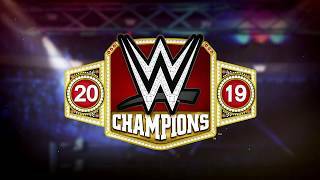 For more info on WWE 2K19 check out the News Section, and the WWE 2K19 Roster Page to see all the Superstars confirmed so far!